This article is about the ship. For related uses, see Central America (disambiguation). SS Central America, known as the Ship of Gold, was a 280-foot (85 m) sidewheel steamer that operated between Central America and the eastern coast of the United States during the 1850s. She was originally named the SS George Law, after Mr. George Law of New York. The ship sank in a hurricane in September 1857, along with 425 of her 578 passengers and crew and 30,000 pounds (14,000 kg) of gold, contributing to the Panic of 1857. On 3 September 1857, 477 passengers and 101 crew left the Panamanian port of Colón, sailing for New York City under the command of William Lewis Herndon. The ship was heavily laden with 10 short tons (9.1 t) of gold prospected during the California Gold Rush. After a stop in Havana, the ship continued north. On 9 September 1857, the ship was caught up in a Category 2 hurricane while off the coast of the Carolinas. By 11 September, the 105 mph (170 km/h) winds and heavy seas had shredded her sails, she was taking on water, and her boiler was threatening to fail. A leak in one of the seals between the paddle wheel shafts and the ship's sides sealed its fate. At noon that day, her boiler could no longer maintain fire. Steam pressure dropped, shutting down both the bilge pumps. Also, the paddle wheels that kept her pointed into the wind failed as the ship settled by the stern. The passengers and crew flew the ship's flag inverted (a distress sign in the US) to signal a passing ship. No one came. A bucket brigade was formed, and her passengers and crew spent the night fighting a losing battle against the rising water. During the calm of the hurricane, attempts were made to get the boiler running again, but these failed. The second half of the storm then struck. The ship was now on the verge of foundering. Without power, the ship was carried along with the storm and the strong winds would not abate. The next morning, September 12, two ships were spotted, including the brig Marine. Only 153 passengers, primarily women and children, made their way over in lifeboats. The ship remained in an area of intense winds and heavy seas that pulled the ship and most of her company away from rescue. Central America sank at 8:00 that evening. 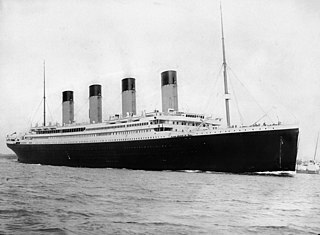 As a consequence of the sinking, 425 people were killed. A Norwegian bark, Ellen, rescued an additional 50 from the waters. Another three were picked up over a week later in a lifeboat. Commander William Lewis Herndon. U.S.N. In the immediate aftermath of the sinking, greatest attention was paid to the loss of life, which was described as "appalling" and as having "no parallel" among American navigation disasters. 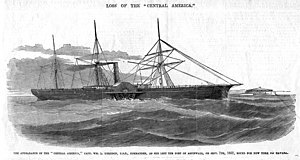 At the time of her sinking, Central America carried gold then valued at approximately US$8,000,000 (modern monetarily equivalent to $292 million, assuming a gold value of $1,000 per troy ounce). The loss shook public confidence in the economy, and contributed to the Panic of 1857. The valuation of the ship itself was substantially less than those lost in other disasters of the period, being $140,000 (equivalent to $3,760,000 in 2018). Commander William Lewis Herndon, a distinguished officer who had served during the Mexican–American War and explored the Amazon Valley, was captain of Central America, and went down with his ship. Two US Navy ships were later named USS Herndon in his honor, as was the town of Herndon, Virginia. Two years after the sinking, his daughter Ellen married Chester Alan Arthur, later the 21st President of the United States. The ship was located by the Columbus-America Discovery Group of Ohio, led by Tommy Gregory Thompson, using Bayesian search theory. A remotely operated vehicle (ROV) was sent down on 11 September 1988. Significant amounts of gold and artifacts were recovered and brought to the surface by another ROV built specifically for the recovery. The total value of the recovered gold was estimated at $100–150 million. A recovered gold ingot weighing 80 lb (36 kg) sold for a record $8 million and was recognized as the most valuable piece of currency in the world at that time. Thirty-nine insurance companies filed suit, claiming that because they paid damages in the 19th century for the lost gold, they had the right to it. The team that found it argued that the gold had been abandoned. After a legal battle, 92% of the gold was awarded to the discovery team in 1996. Thompson was sued in 2005 by several of the investors who had provided $12.5 million in financing, and in 2006 by several members of his crew, over a lack of returns for their respective investments. In 2009 he had an off shore account in the Cook Islands of 4.16 Million. [not in citation given] Thompson went into hiding in 2012. (subscription required) A receiver was appointed to take over Thompson's companies and, if possible, salvage more gold from the wreck, in order to recover money for Thompson's various creditors. In March 2014, a contract was awarded to Odyssey Marine Exploration to conduct archeological recovery and conservation of the remaining shipwreck. The original expedition had only excavated "5 percent" of the ship. ^ a b Staff (6 November 1857). "Steamship Disasters". Olney Times (reprint from "Journal of Commerce"). Retrieved 2015-07-26 – via Newspapers.com. ^ Kinder, Gary. "Ship of Gold in the Deep Blue Sea". New York: Atlantic Monthly, 1998. Print. ^ Anastasia Hendrix, Chronicle Staff Writer (9 November 2001). "Gold Rush brick sells for $8 million / 80-pound ingot bought by executive". SFGate. Retrieved 31 December 2015. ^ a b c d Lee Myers, Amanda (13 September 2014). "Feds chase treasure hunter turned fugitive". USA Today. AP. Retrieved 13 September 2014. ^ a b Gray, Kathy (29 May 2014). "Judge appoints receiver in gold-ship lawsuit". Columbus Dispatch. Retrieved 13 September 2014. 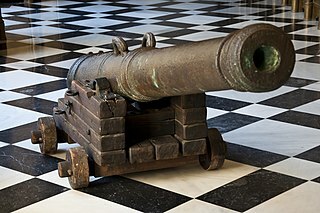 ^ a b "US fugitive treasure hunter appears in Florida court". BBC. BBC News. 29 January 2015. Retrieved 30 January 2015. ^ a b Phillip, Abby. "How treasure hunter Tommy Thompson, 'one of the smartest fugitives ever,' was caught". The Washington Post. Retrieved 2015-12-31. ^ "Odyssey Marine Exploration to salvage gold from 1857 shipwreck". Tampa Bay Times. 5 May 2014. Archived from the original on 6 May 2014. Stone, Lawrence D. Search for the SS Central America: Mathematical Treasure Hunting. Technical Report, Metron Inc. Reston, Virginia. – "Detailed and Very Interesting Statement of Captain Badger" and "Protest of the Surviving Officers"
Commander William Lewis Herndon was one of the United States Navy's outstanding explorers and seamen. In 1851 he led a United States expedition to the Valley of the Amazon, and prepared a report published in 1854 and distributed widely as Exploration of the Valley of the Amazon. The Last Voyage is a 1960 Metrocolor American disaster film written and directed by Andrew L. Stone. It stars Robert Stack, Dorothy Malone, George Sanders and Edmond O'Brien, and features Tammy Marihugh. SS Laurentic was a British ocean liner of the White Star Line. She was converted to an armed merchant cruiser at the onset of World War I, and sank after striking two mines north of Ireland on 25 January 1917, with the loss of 354 lives. She was carrying about 43 tons of gold ingots at the time of her loss, and as of 2017, 20 bars of gold are yet to be recovered. The SS Christopher Columbus was an American excursion liner on the Great Lakes, in service between 1893 and 1933. She was the only whaleback ship ever built for passenger service. 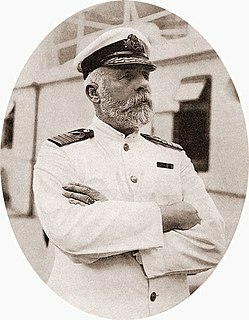 The ship was designed by Alexander McDougall, the developer and promoter of the whaleback design. The Awa Maru (阿波丸) was a Japanese ocean liner owned by Nippon Yusen Kaisha. The ship was built in 1941–1943 by Mitsubishi Shipbuilding & Engineering Co. at Nagasaki, Japan. The vessel was designed for passenger service, but the onset of war by the time work was completed changed requirements, and she was requisitioned by the Japanese Navy. While sailing as a hospital ship under the protection of the Red Cross in 1945, she was torpedoed by USS Queenfish (SS-393), killing all but one of 2,004 people aboard. George Law was an American financier from New York. SS Vestris was a 1912 passenger steamship owned by Lamport and Holt Line and used in their New York to River Plate service. On 12 November 1928 she began listing about 200 miles off Hampton Roads, Virginia, was abandoned, and sank, killing more than 100 people. Her wreck is thought to rest some 1.2 miles (2 km) beneath the North Atlantic. The SS Principessa Mafalda was an Italian transatlantic ocean liner built for the Navigazione Generale Italiana (NGI) company. Named after Princess Mafalda of Savoy, second daughter of King Victor Emmanuel III, the ship was completed and entered NGI's South American service between Genoa and Buenos Aires in 1909. At the time she was the largest Italian passenger ship afloat. Principessa Mafalda was known for her luxury and was the preferred mode of travel for such celebrities of the day as Carlos Gardel. The PS Anthony Wayne was an early wooden-hulled sidewheel steamship that sank on the day of April 28, 1850 in Lake Erie off the coast of Vermilion, Ohio after two of her starboard side boilers exploded. There was an estimated 50 to 69 people onboard but the ship's passenger manifest was unclear about how many passengers boarded the Wayne at each location. Although the ship's clerk reported that there were 80 to 100 people onboard which included the crew with about 30 of them surviving.